This week, the California Public Utilities Commission (CPUC) will start to reconsider the San Onofre Nuclear Generating Station settlement that was reached in March 2013 and left consumers on the hook instead of utility shareholders for $3.3 billion of a $4.7 billion negotiated settlement for a broken nuclear power plant that was forced to shut down after a radiation leak in January 2012. The commission itself has been under investigation since 2014 for its seemingly inappropriate relationships with the very utilities it is supposed to regulate. 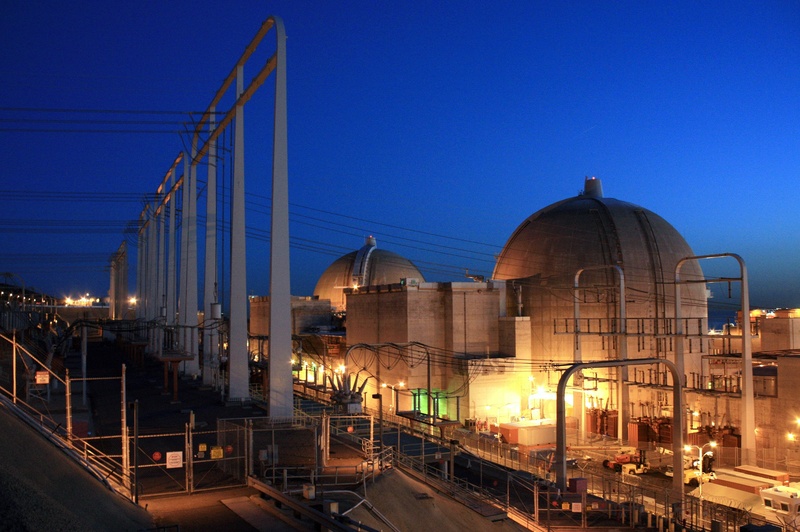 Reopening the settlement allows ratepayers the opportunity to get a more fair and balanced position at the negotiating table while parties divide the costs of the failed steam generator replacement project that lead to the premature shut-down of the San Onofre reactors. It has been discovered that the settlement that assigned ratepayers (not the utilities that owned and operated the plant) the majority of the costs for the premature shutdown, was negotiated and defined almost entirely in private communications and backroom meetings between the regulators and company officials, and not through the appropriately designed public process – which would have ensured that the public interest was being upheld. The settlement process is designed to guarantee representatives from all stakeholder parties; regulatory agencies, the ownership organizations, and appointed representatives for the ratepayers, a seat at the negotiating table. Instead, Edison, the company that owned and operated the San Onofre nuclear power plant cooperated closely with regulators behind the scenes to subvert the public process and negotiate the terms of the settlement and strategy for dealing with the backlash from the public when the settlement would be presented. In March 2014, Edison revealed the settlement to the public, portraying it as a $1.4 billion “rebate” for ratepayers – referencing the amount of costs that the utilities would cover for the premature closure of the plant. Consumer groups started criticizing the deal after it was learned that the ratepayers would be funding the other $3.3 billion of the $4.7 billion settlement. Ultimately, it was the news media that uncovered the truth and laid it bare before the public. Reporters uncovered a wealth of e-mails and corporate correspondence which exposed the backchannel communications and how terms of the settlement were established. Simply stated, Edison, a company that was supposed to be under investigation by the CPUC, was instead working covertly with the regulators that were supposed to be investigating them, to discretely negotiate a critical settlement that ultimately transferred billions of dollars of costs from the utility to the public. One of the reasons that this corruptive behavior may have occurred was because both Edison and the CPUC shared an interest in obtaining documents from Mitsubishi Heavy Industries – the company that manufactured the faulty steam generators that ultimately forced the plant to shut-down. Edison is in court with Mitsubishi, seeking $7.6 billion for the failed steam generators. For several months, commission lawyers worked directly with Edison attorneys to draft and issue subpoenas used in the case against Mitsubishi. The more costs that could be recovered from Mitsubishi would lower the amount of costs that would ultimately have to be split between the utility and the ratepayers. This action by the commission of working alongside the utility in the court case against Mitsubishi might have made it very difficult for the CPUC to be objective in its own investigation into Edison. When asked, CPUC spokeswoman Terrie Prosper said that the subpoenas were sought by the commission because they contained information about who knew what and when about the project during design and manufacturing stages. Mitsubishi has claimed that the CPUC had no authority to issue subpoenas for the requested information, which may indicate why the commission was willing to work so closely with Edison to try to get the information through different legal channels. The partnership between Edison and the CPUC was further resolved in March 2013, when Stephen Pickett, an executive from Edison, met privately in Warsaw, Poland with the then-head of CPUC, Michael Peevey, where they outlined the majority terms of the agreement in private. After this undisclosed meeting, Peevey continued to advise multiple Edison executives on legal strategies and public relations as they shut down the crippled nuclear power plant and began negotiating the settlement. None of these communications were disclosed to the public, and Edison has repeatedly claimed that they did not have to be. After the meeting in Warsaw, The Utility Reform Network (TURN), a nonprofit consumer group, was selected to represent ratepayers and negotiate the settlement. On April 10th, 2014, TURN learned of the secret meeting during interviews between Peevey and settlement negotiators, as Peevey fought for (and ultimately received), a $25 million contribution to the University of California for research on reducing greenhouse gas emissions – a term of the settlement that was agreed upon during the private negotiations in Poland. Instead of alerting the public of the private meeting and corruption of the settlement process, the group which was supposed to be representing ratepayer’s interests never spoke out about the backdoor communications and instead agreed to the pre-designed settlement and passed the bulk of the costs on to the ratepayers. TURN would later claim that since they didn’t have any documented evidence about the misconduct they decided not to say anything in the event that Peevey denied their claims and they had no evidence to defend their claims other than his testimony in negotiations. However, just because they didn’t have all of the evidence, doesn’t excuse the fact that they didn’t even try to sound the alarm of potential corruption of the settlement process. After the agreement was approved by TURN, the CPUC approved the settlement on November 20th, 2014, while dismissing allegations brought to the Commission of collusion and corruption as being unsubstantiated misstatements which lacked foundation. During the settlement process, the public was repeatedly reassured that there was no collusion or backdoor agreements being hammered out between the utility and the CPUC. When the settlement was reached, and nearly three-quarters of the bill was passed on to consumers, the public was told that it was a fair and balanced deal. It was only after the San Diego Union-Tribune published notes referencing the Poland meeting in 2015 that Edison acknowledged that the meeting had in fact taken place. The discovery outraged politicians, regulators, and the public. The State of California launched a state criminal investigation into the settlement between CPUC claiming that improper meetings were held and outlining a conspiracy to keep those meetings secret and not report them. Investigators from the Attorney General’s Office served a search warrant to California Public Utilities Commission headquarters and left with loads of computers, files and other records. Two months later, investigators went to CPUC President Peevey’s home and discovered the notes outlining the framework for the settlement that was established by the private meeting in Warsaw. Peevey would ultimately step down from his position in 2015, but this decision was influenced because he was facing other allegations of improper conduct – this time related to dealings with Pacific Gas & electric after a gas line explosion in 2010. The CPUC would hire a crack legal defense team to attempt to stave off the State investigation, a very rare thing for a regulatory agency to do. Meanwhile, Edison still stands by the original 2014 deal that was designed during the secret meeting in Warsaw. “SCE continues to believe the SONGS settlement remains in the public interest,” the statement released by the utility said. In 2015, TURN repudiated the very settlement it negotiated and called on the CPUC to reopen the agreement for review. Apparently ignoring their own role in approving the original settlement, TURN attorney Matthew Freedman said “TURN looks forward to the opportunity to fight for better results for consumers and to force the shareholders of Southern California Edison and San Diego Gas & Electric to assume a greater share of the costs of the debacle at San Onofre”. The Attorney General’s criminal investigation into the settlement continues, and now CPUC will conduct its own investigation, but there are no easy answers how to restore lost credibility and public confidence in the ability of utility regulators to uphold the public interest.